Nurture your learning at Childtime. All our programs provide a nurturing early education experience that guarantees every child is prepared for elementary school—and prepared for a lifetime of learning. With the brightwheel mobile app, you can stay connected all day long. Children aren’t the only ones who can build a strong foundation here—you can, too. Our nurturing environment is the perfect place to grow your career. 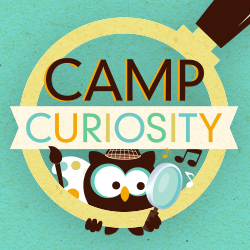 Have a curiously fun summer here and stay busy with a camp that’s brimming with fun and creative learning opportunities.